BendTrails April 17, 2019 at 9:36 pmCoyote and tech options all clear up past first cross over. Couple tiny sections of snow that you can ride. CORY POULIN April 6, 2019 at 4:53 amCoyote loop is clear from TH until about a mile past China Hat (4750 elevation), then snow and generally too wet still. The loop from the TH out coyote to boyd cave and back on the Arnold Ice Cave Trail is flawelss though. Dry and fast! Scott Wolfe March 29, 2019 at 6:02 pmCoyote Loop is a mix of mud, snow and ice. Be careful if you are out early for the ice and avoid it once the temps get above freezing as there will be standing water, deep snow and heavy mud runoff. Steven Powers January 12, 2019 at 6:41 pmToo muddy to ride at 11 am SAT. Come earlier while its still frozen. Bruce Bradshaw October 7, 2018 at 7:10 pmThe two miles south of China Hat Road are loose, but rideable. Burt Hardin August 25, 2018 at 4:10 pmSaw a big, fat badger on the trail today. Lot's of activity with this guy/gal and others(?) with holes and paw prints all over the place. She/he turned tail, otherwise I would have! Jay Marsh June 17, 2018 at 10:49 pmSolo on a plus bike, conditions are great. Otherwise, loose conditions would be less enjoyable. Still good riding! Coyote Loop Trail starts off of Swamp Wells about a half mile from the base of Horse Butte and runs up to the Swamp Wells Horse Camp. The first half of the trail is open with few trees due to a past forest fire. After crossing China Hat Road the trail soon enters into the trees and you encounter a fairly gentle climb up to the horse camp. There is a split in the trail about 3 miles past China Hat Road which will take you through some very techy lava goodness (right) or along a fire road (left). After a couple hundred yards, the 2 routes merge again. Coyote and tech options all clear up past first cross over. Couple tiny sections of snow that you can ride. Coyote loop is clear from TH until about a mile past China Hat (4750 elevation), then snow and generally too wet still. The loop from the TH out coyote to boyd cave and back on the Arnold Ice Cave Trail is flawelss though. Dry and fast! Coyote Loop is a mix of mud, snow and ice. Be careful if you are out early for the ice and avoid it once the temps get above freezing as there will be standing water, deep snow and heavy mud runoff. Too muddy to ride at 11 am SAT. Come earlier while its still frozen. The two miles south of China Hat Road are loose, but rideable. Saw a big, fat badger on the trail today. Lot’s of activity with this guy/gal and others(?) with holes and paw prints all over the place. She/he turned tail, otherwise I would have! Solo on a plus bike, conditions are great. Otherwise, loose conditions would be less enjoyable. Still good riding! Lower coyote loop was money today. Sadly there has been some major trail sanization. Not for eroision control but for what? almost all of the rocks have been pried or hammered out. This took some time. Who did this? Why? The modern bikes we ride now can eat up massive rock gardens so why remove what made that trail special? Yes. The painted rocks have almost all been dug out. Just rode out there and didn’t notice much out of order. I could still see the painted rocks (paint is faded and white). Granted I don’t ride there much so I could have missed something. If you are sure something was changed contact Cota and the FS? It was allot of rocks dug out of the trail. Talked with COTA and FS. Not sure who the rock minner is. Still good riding out there. Rode south from China Hat Rd to about 1mi past the gate. Amazing conditions! Maybe the best of the year. Should hold up well, barring any freeze/thaw. Go ride it! Dry and good traction from Horse Butte trailhead around to Boyd Cave and back. 3/30/18 Rode down from the horse camp. The first mile down was pretty snowy, then it opened up a bit. A bit of mud, but mostly standing water. Lower than 4800′ was riding awesome! Riding very well today. Fine from TH to a few miles past China Hat road. Fat biked from china hat up toward the horse camp, but had to turn around at the 1814 road due to an injury in the party. Trail was perfect. 3-4″ of powder with a firm base. Easy riding. Wish we cold have gone farther. Did an ~18 mile loop going way up Coyote and back on Arnold Ice Cave trails on Saturday and the trails were in excellent condition: firm, smooth and fast. The Horse Butte parking lot was completely full. Very nice conditions up to the cut-off connector (a little below the Horse Camp). A few soft spots that should be dry soon. 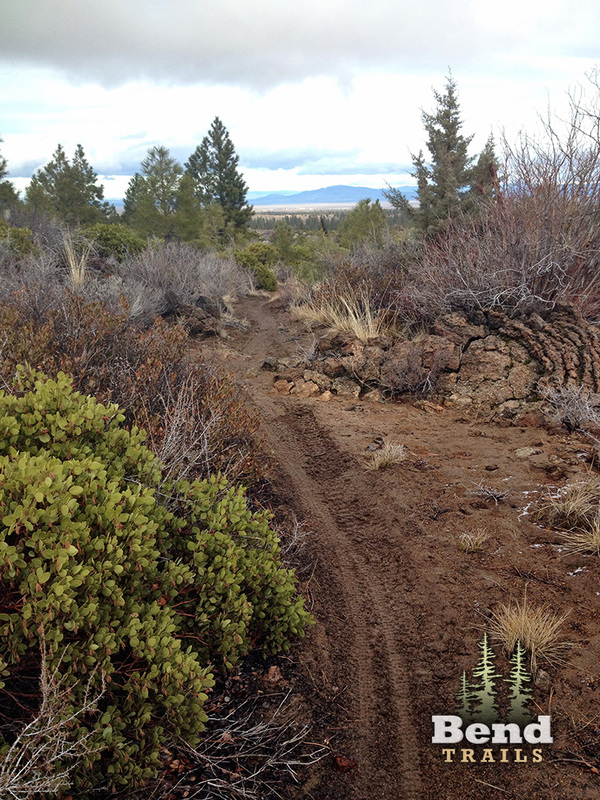 Coyote Loop above 5,200′ and up to Swamp Wells Road has some extremely muddy sections and serious rutting. Frozen soil still exists underneath some of these areas. Please give the upper elevation portions of Coyote and Swamp Wells time to thaw and drain. Getting a lot of use below 5200′. 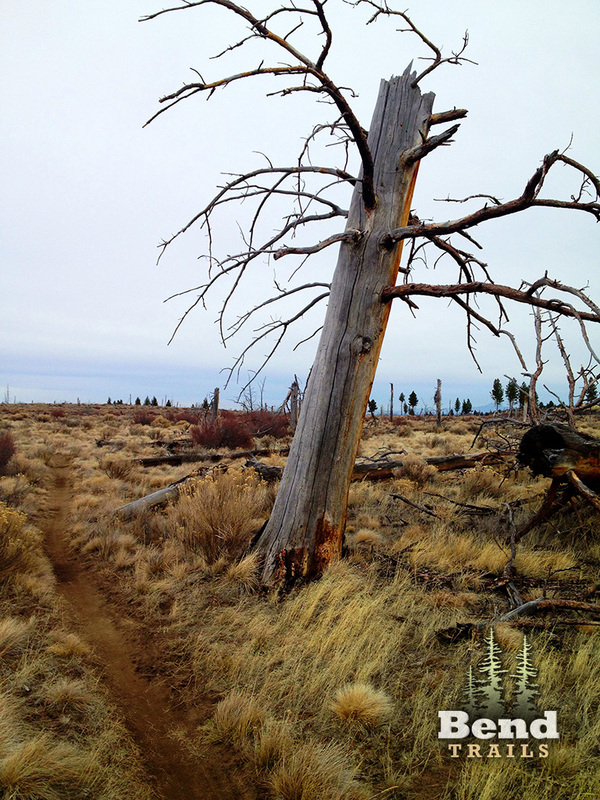 Coyote Loop Trail was riding great on Super Bowl Sunday. A few soft wet sand spots but I wouldn’t call it mud. All the parking was taken at Horse Butte Trailhead by noon. Arnold Ice Cave is stiil the pick with Coyote Loop being a little too muddy to ride with clean clothes and a clear conscience. Rode from the intersection with Swamp Wells this afternoon. It’s still rideable and folks seem to be doing a good job of trying to keep the singletrack single but the rain we got today definitely made it greasier than Swamp Wells. Rode from China Hat to Fuzztail Butte today. It’s about as perfect as it gets. Swamp Wells and Ice Cave are probably equally awesome. December! 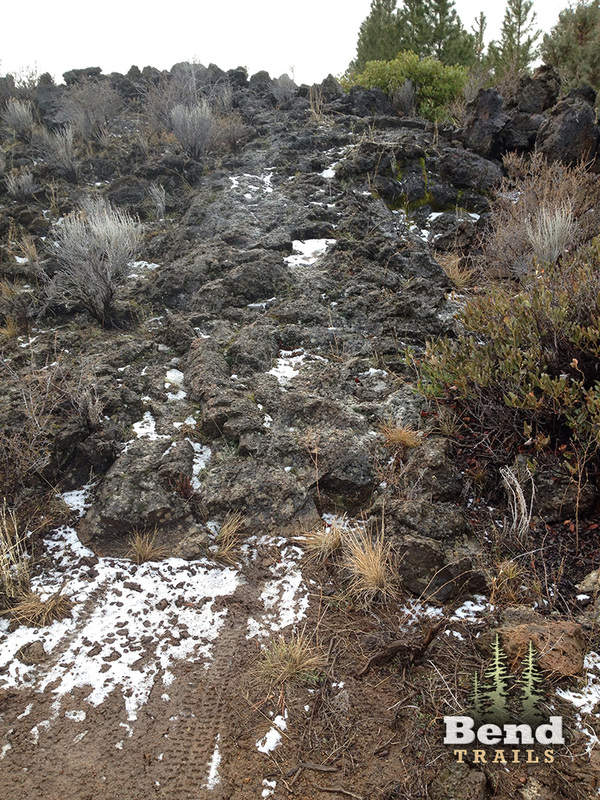 Skiff of snow to maybe 1″ on Fuzztail butte. Frozen tread underneath, no mud. Great! 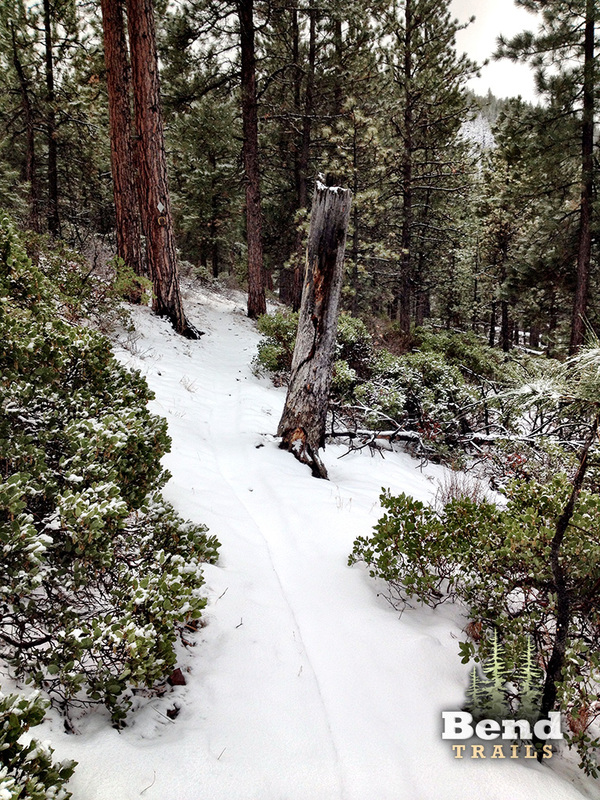 Patchy snow up to over 5100′, but riding better than Swamp Wells. Good all the way to the horse camp. Good riding at least to 5100′. Didn’t see any coyotes but the wildflowers are out. Trail is in great shape to horse camp and beyond. Well to fit the name me and my dog ran into an aggressive coyote just after the technical switchback section. My dog went missing and I rode back to find a coyote chasing him. The coyote didn’t back down and followed us for a half mile or so. The coyote was good sized and I assume there is a den in the area. Best to keep your dog home if you are planning to ride this trail. You are referring to the techy switchback near the housing? Totally clear all the way to Swamp Wells. Clear until the last mile or so before Horse Camp. Snow patches are easily walkable. Riding well until a couple miles from Swamp Wells. Easily make it to a small trail just where Coyote Loop and Swamp Wells get close together that connects the two. Looks like a rogue trail but well enough used to be easily rideable. Then just a few small snow patches on Swamp Wells on the way back. Checked yesterday from China Hat, and while you can ride south a little ways, you soon hit lots of snow patches. Still needs a week or so. Coyote Loop has a few small wet spots in the open areas but still has some areas of snow in the wooded sections. Another week should get the whole thing rideable. 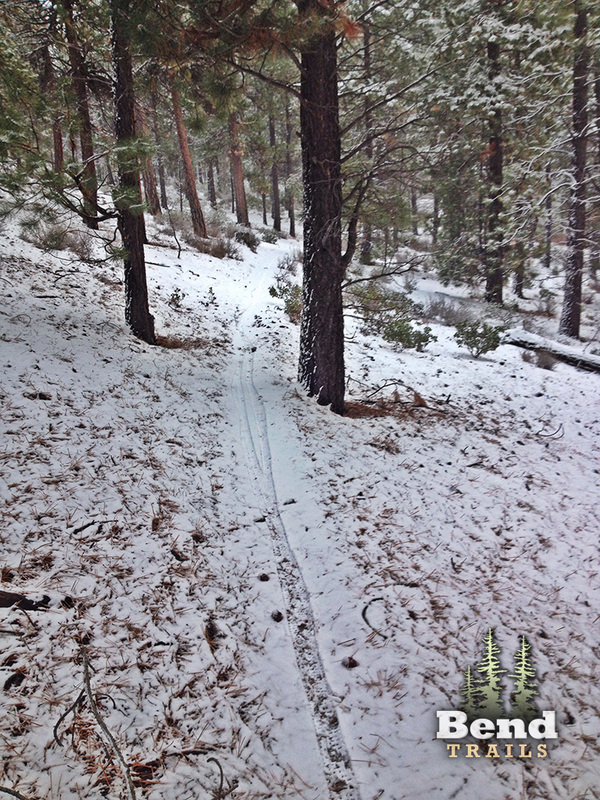 All, please remember to ride on the trail, or the snow on top the trail, or push for these short sections of snow. The mud will heal, but a wide trail will not. If anyone reads this post please bring a pair of hand loppers when you ride this loop. The backside of the loop has some really scratchy sections that need to be brushed back. I’ll bring mine, you bring yours, deal? Only one tree down about half mile from horse camp. You can miss the tree by taking the cut across to the Swamp Wells trail. On Friday, 10/28, lower Horse Butte loop was great! Moist hardpack. A few shallow puddles, no mud. As good as HB gets! Trail is really riding great. 5-stars. Rode up Upper Coyote and down Arnold Ice Cave trail. 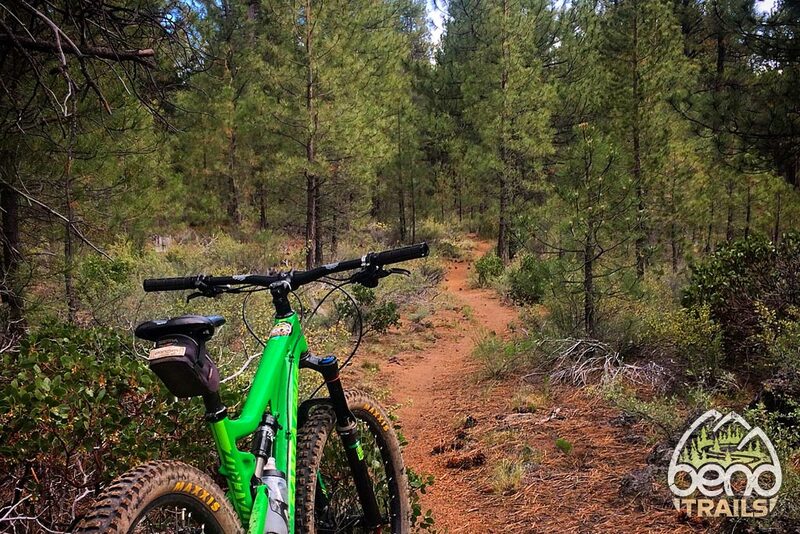 Moist, tacky trail. Some cows/tracks on middle Arnold but since I was going downhill it didn’t really bother me as it was firm enough. The rain caught me on lower Arnold. Go get it while it’s moist! The rains have made the Horse Butte loop a delight today at sunset. No dust – even a few mud puddles! I suspect upper Coyote and Arnold and/or Swamp Wells area may be pretty sweet for a few days before drying back up. Seems like the eastside reaped more from the rains than the westside. 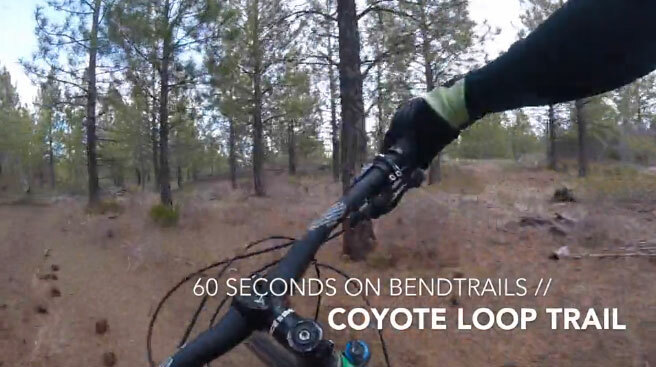 Lower Coyote was riding pretty well. But Upper Coyote above China Hat Road is cow infested for the first few miles (gates are now closed). Still fun on my fatbike but watch out for sand and cow poop! The higher you go the better it gets. No horse traffic. Trail was decent this early afternoon. Several areas of deep sand but overall reasonable hard due to recent rain. Get out here before it gets too hot and soft! As a side note, I noticed a few parties out target shooting in close proximity to the trail. Be sure to wear high visibility clothing if possible out there and call out to alert someone you’re coming if you think they could be shooting near the trail. I spoke to one group of people out there and they said they weren’t even aware of the trail being there, and very kindly and quickly moved to a different area. Coyote loop is nice and tacky right now, so good! The entire Arnold’s Ice cave – Coyote Loop is completely clear of snow now. Am new to the area. Am wondering where to park to get to this trail? Park at the Horse Butte Trailhead. If you want to start higher up, there’s parking off the Boyd Cave road. 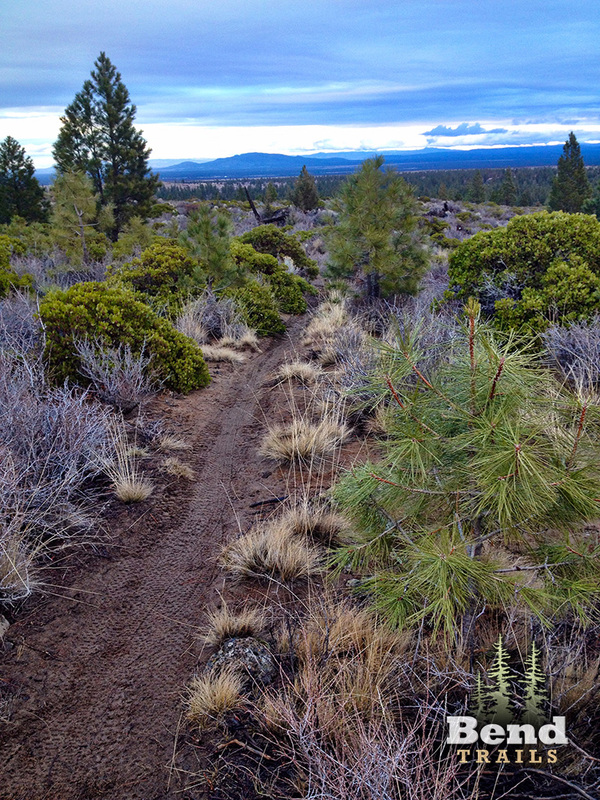 You have to ride this dirt road for 10 yards to pick up the trail north of China Hat Road. The pavement ends on the China Hat Road a short distance beyond the Boyd Cave turnoff. I had my directions mixed up, Coyote Loop heads up south of the China Hat Road. A few down trees and a bit of snow below Horse Camp. Other than that, the trail is awesome! Near-perfect conditions today with only 1-2 wet spots. Great dirt! Trail was a bit muddy this morning due to freeze/thaw (3/18) when I first headed out to Gold Basin area but, was nearly perfect on my return route this afternoon. Rode yesterday 3/11 down from swamp wells road? no hike a bike, dirt was awesome. Mon, 3/7, made it up to Swamp Wells Rd. Half a dozen short hike-a-bike snow patches and a few downed in the last mile or so. Otherwise, riding great! 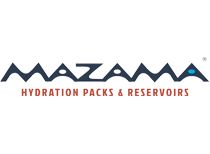 Has had minimal traffic. Aside from a few small puddles it was great Sat. Parked at Bessie Butte and did an OAB.